Managing a small team and working closely with the Chief Executive Officer, you will develop and execute a broad range of fundraising initiatives to increase the level of philanthropic income to the Foundation. This will include identifying and driving opportunities for growth, developing major fundraising opportunities with individual donors, trusts and foundations, corporates, Government bodies and other potential major supporters. You will assist in building and maximising international fundraising opportunities, with specific focus on the UK and USA, and oversee Aurora’s stakeholder engagement, communications and marketing activities. With a passion for the values and mission of the Foundation, your commitment to fundraising best practice, outstanding communication skills and your ability to gain the confidence of senior staff and external stakeholders at the highest level will ensure your success in this role. A proven track record in fundraising with knowledge of best practice in development within the not for profit sector will be key. 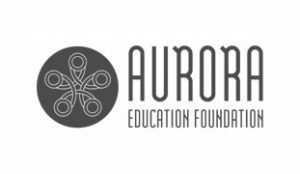 The Aurora Education Foundation provides opportunities and support for Indigenous Australians to reach their academic potential. It has enjoyed enormous success in providing scholarships for Indigenous students in Australia to international universities such as Oxford, Cambridge and Harvard, and offers an international study tour and local programs for Indigenous students in our high schools. This is your chance to make a real difference to the landscape of education for Indigenous Australians and transform lives through an investment in potential and life-long learning. Please quote in application: Head of Development via Pro Bono Australia.